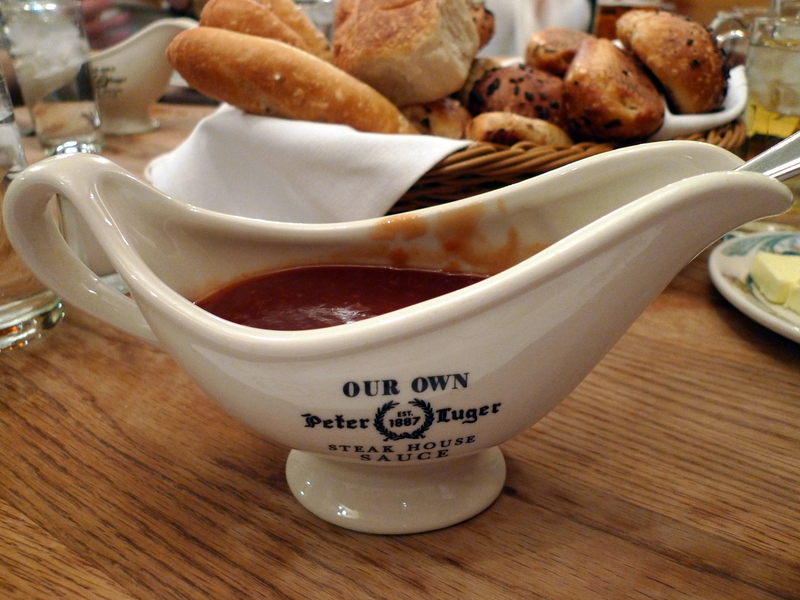 Peter Luger Steak House is a New York City institution that has been making meat lovers’ dreams come true since 1887. The restaurant is dedicated to only serving the finest USDA prime meat available; the beef is carefully “family selected” and dry aged in house. 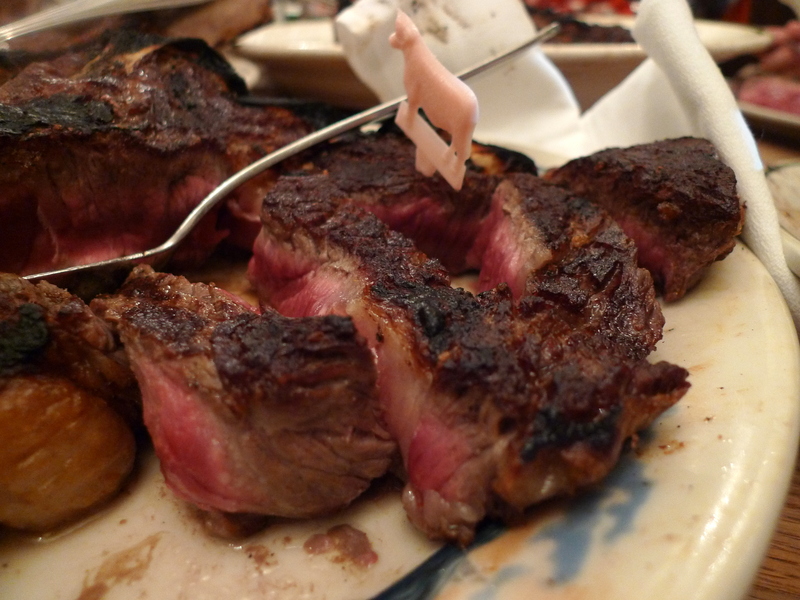 The signature steak served at Peter Luger is the porterhouse, which is cut from the rear end of short loin and includes more of the tenderloin section. The menu here is limited, but really what other choices do you need besides deciding whether you want to order the porterhouse steak for one, two, three, or four people? 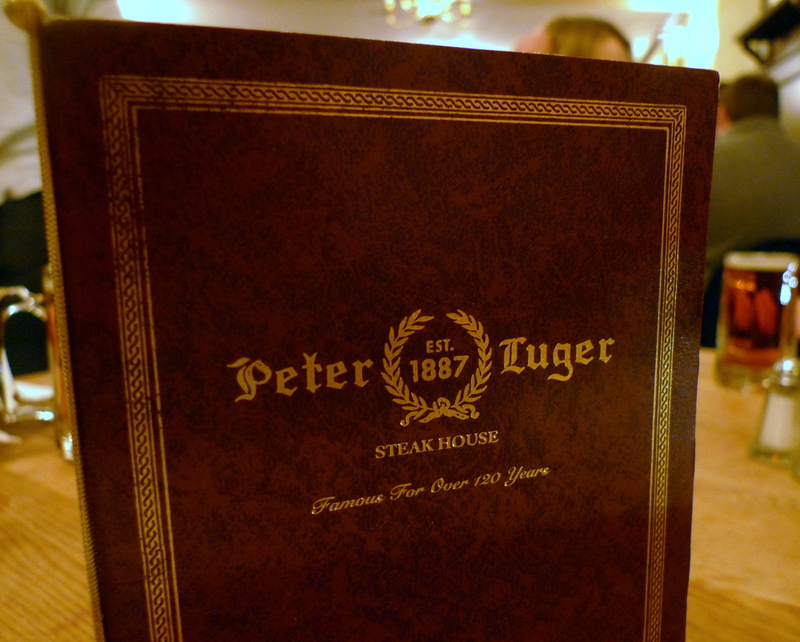 In fact, needing a physical menu at all at this restaurant is an immediate flag of a Peter Luger virgin. The general assumption on the servers’ part is that “everyone knows” exactly what Peter Luger is about and will only provide a menu on request. With the exception of two of our friends, the other six in our dinner party were total n00bs (myself included). So to the embarrassment of the Peter Luger regulars, our table requested several menus and went to work to plan our soon-to-be epic meal. 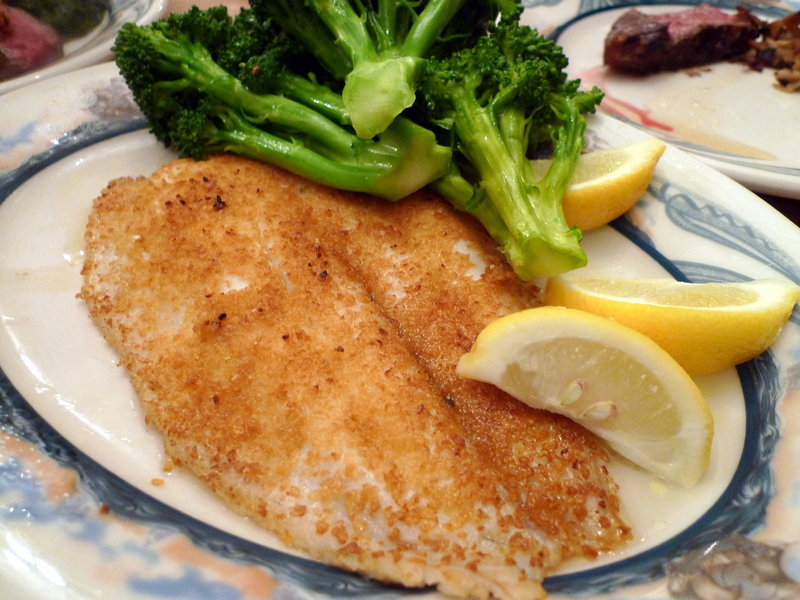 Besides the steak, the service is a main driving force behind the restaurant’s success. In fact, many former waiters have since left and opened steakhouses of their own, modeled after Peter Luger’s classic fare (Wolfgang’s Steakhouse, Ben & Jack’s Steakhouse). 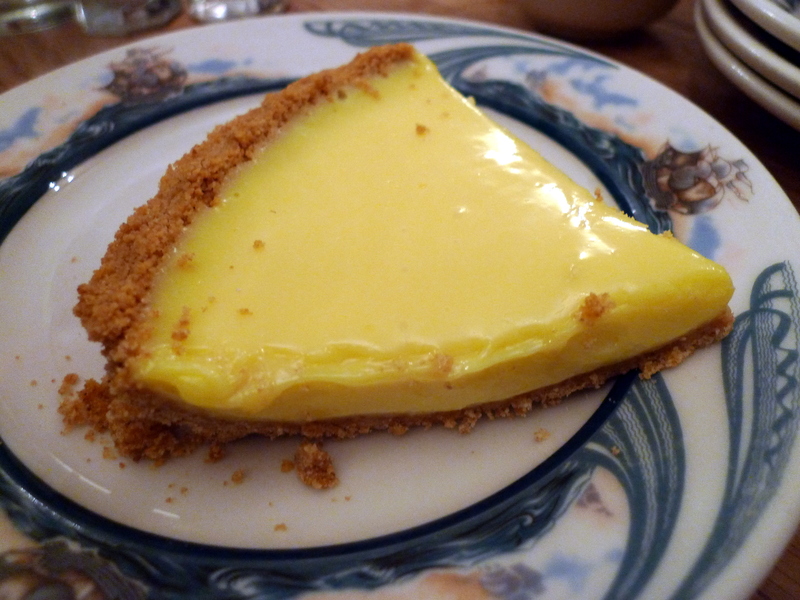 However, Peter Luger is the only steakhouse in NYC currently to boast a Michelin star, and was named to the James Beard Foundation’s list of “America’s Classics” in 2002. A brief history: German-born Peter Luger opened the Brooklyn restaurant in 1887, and it was originally called “Carl Luger’s Café, Billiards and Bowling Alley” after his nephew who acted as the chef. In 1950, Peter Luger’s son sold the restaurant to Sol Forman who had bought the restaurant for a “whimsically low bid.” The former predominantly-German neighborhood was changing due to the incoming Hasidic Jew residents, whose kosher rules did not allow dining at Peter Luger. However, Forman persevered in keeping the steakhouse alive and the Luger legacy remains strong to this day. 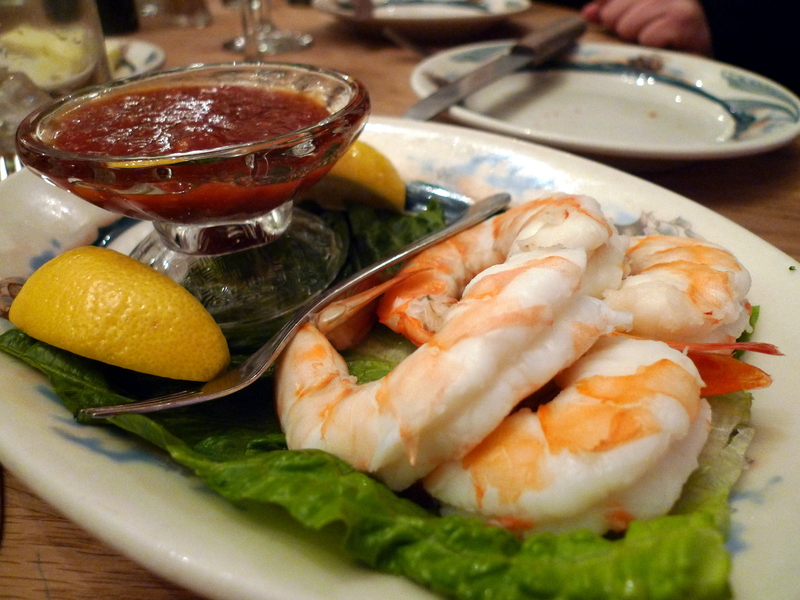 The restaurant is celebrating its 125th anniversary this year. 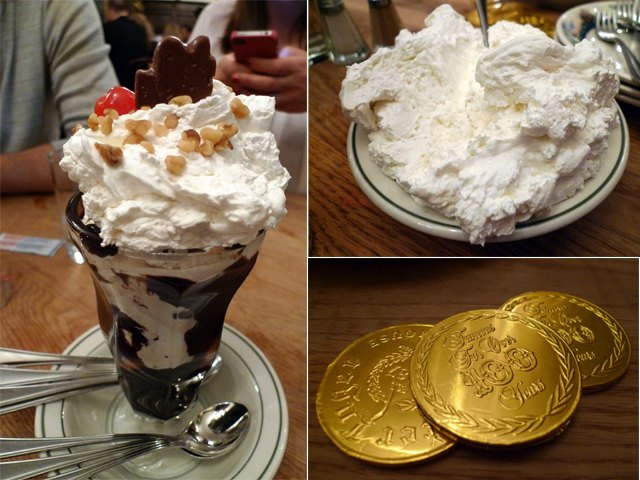 Sure there’s a lot of hype but I definitely think Peter Luger is worth a visit. It’s cozy and old-fashioned, crowded and noisy, but oh my goodness — that steak is good! 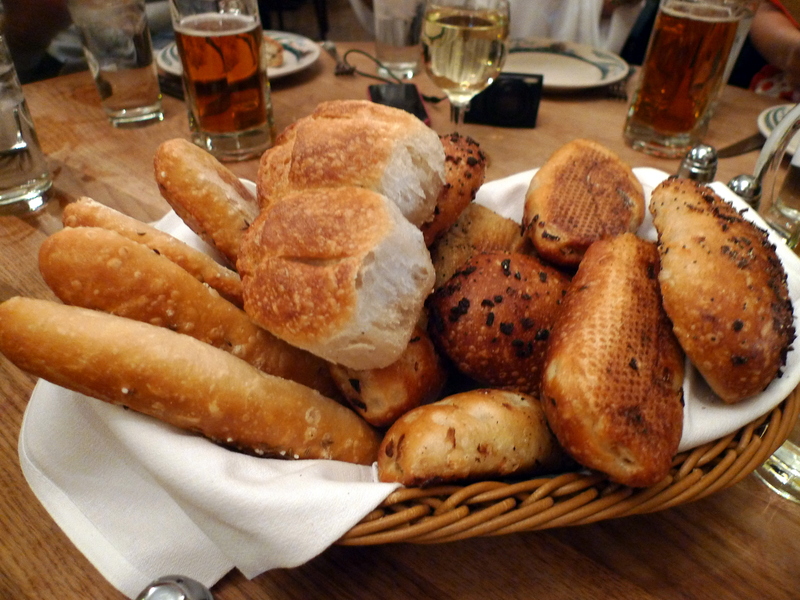 First, they start you off with this giant basket overflowing with freshly baked breads. DON’T TOUCH IT! You will not make it through this meal with a massive carbo-load start like this. 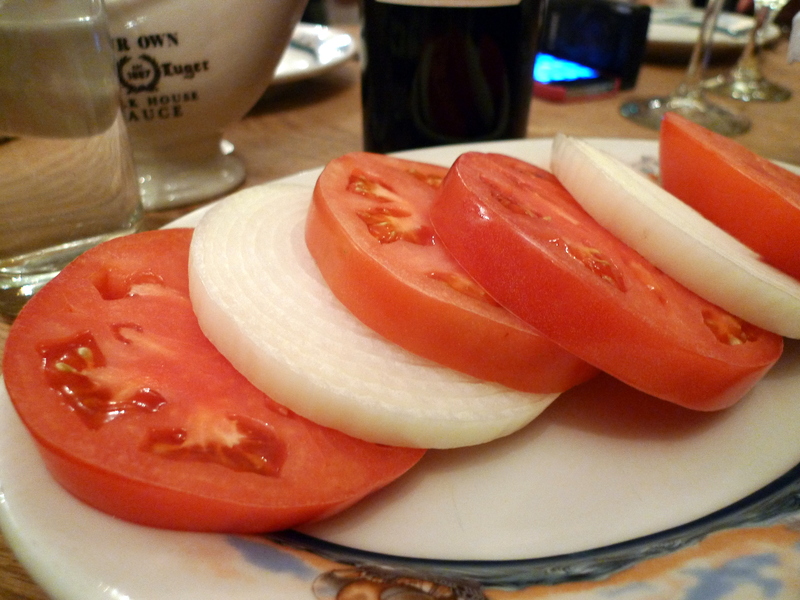 This is recommended to accompany salads rather than the steak (which clearly needs no enhancement). We noticed at the servers’ station that a single bottle of A1 steak sauce was sitting in a corner. We figured that was blasphemy and our server rolled his eyes as he recounted that dreadful day a diner had requested A1 instead of Peter Luger’s own steak sauce. Pretty self explanatory. Douse it in the sauce and you are good to go. This bacon is insanely good. 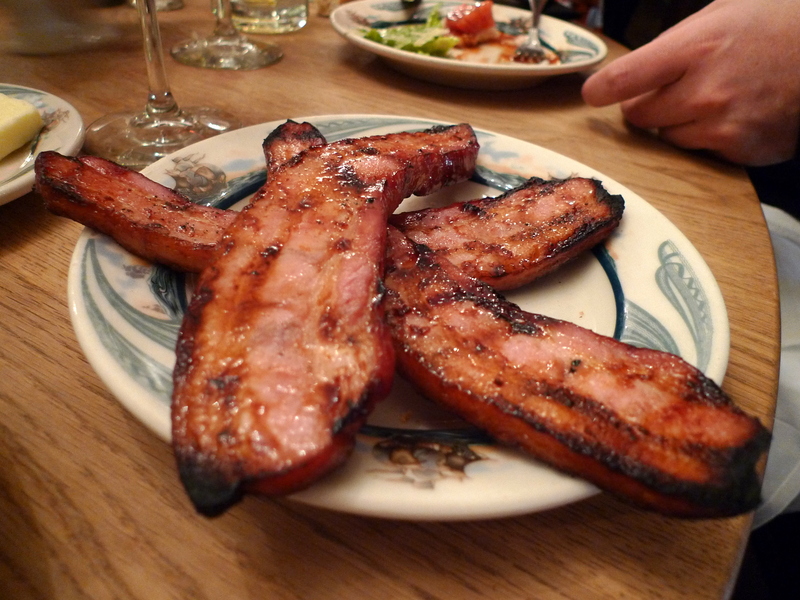 One Peter Luger veteran in our party made a point to order his own plate of bacon and he refused to share any with the rest of the group (which he enforced by hiding the plate in his lap… grr Doc). We all know now we should have done the same. 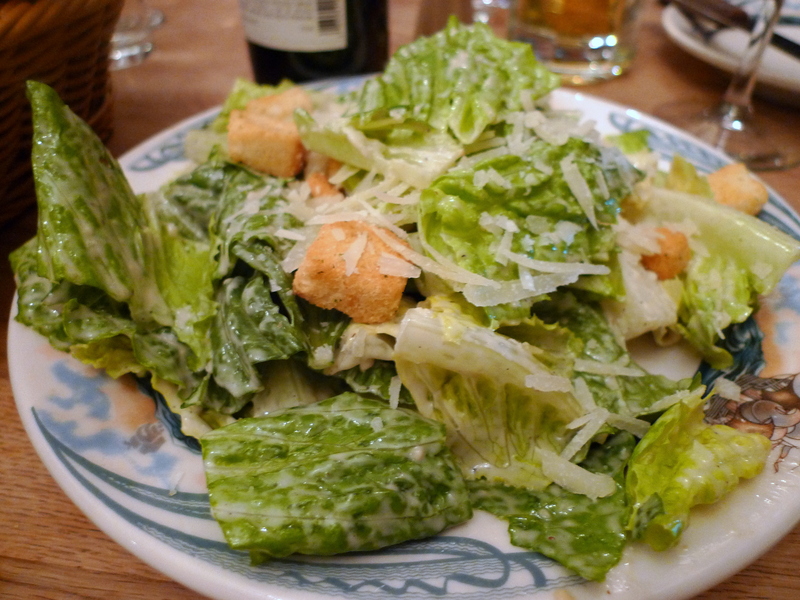 I just love a good Caesar salad! This reminded me of my favorite ice cream store back home in California called Leatherby’s.. ah delicious memories! As they say if steak was a religion PL would be a cathedral. We try to do there at least every other month.